When you have a long journey ahead of you, prepare for it with the Sandpiper of California Bugout Bag. This pack provides 2,900 cubic inches of capacity and can expand to provide 3,300 cubic inches if you need more space. It includes an internal organizer panel and can hold a hydration reservoir. 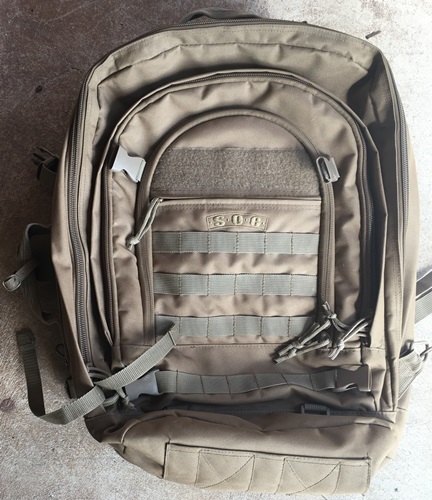 The abrasion-resistant exterior features a PALS/MOLLE platform for attaching additional pouches or accessories. Compression straps secure your cargo, while a concealable shoulder harness and padded waist belt deliver improved stability and comfort. This bag can be carried as luggage or as a backpack, giving you a versatile carrying option for any situation.